Great info, thanks!! 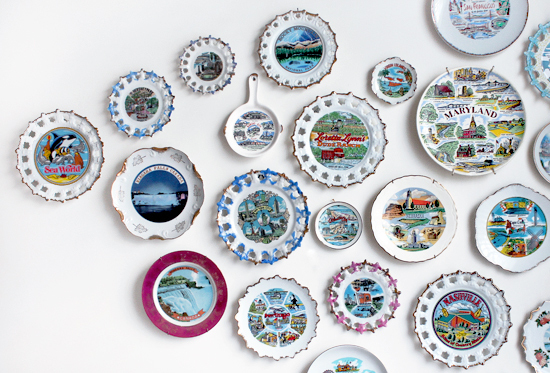 I was recently gifted some plates to sell in my booth. I had been dragging my feet about taking them in. Drag no longer! Maybe you can give some ideas of display in your booth too! I've picked up a couple in my thrifting adventures, now I will keep an eye out for the cool ones. Yes..I really do want to research this a bit more because I really don't want to be overrun by state plates! I could get carried away! This is a fun post! I'm sure there are many collectors of these, and of the different styles of them! Great display inspiration photos, too! Thanks so much for stopping by my blog and for your kind comment! They look like the kind of thing that displayed well can look super cool, you have to willingly embrace the kitsch! I guess the closest thing we have in the UK are the seaside town souvenirs you used to get in very dodgy beach resort. 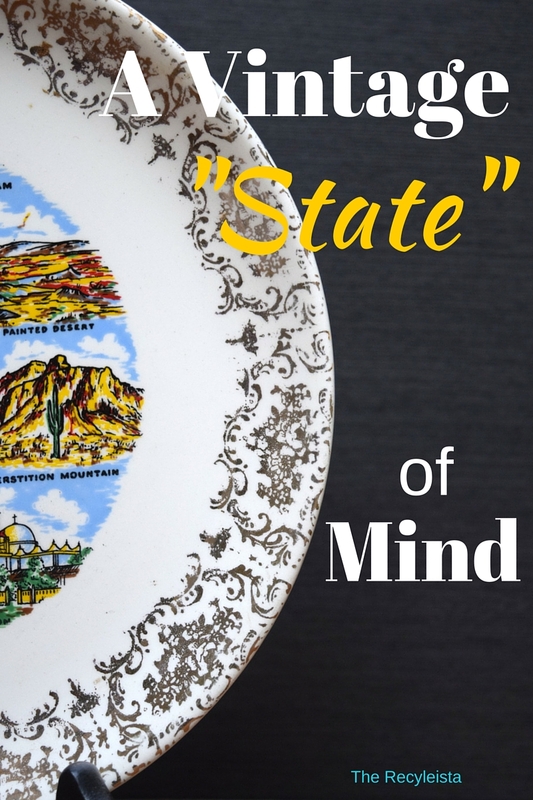 You are totally right, these plates are so charming and unique. All of them are different. I'd like to have such collection at home. I am looking at them in a new light, for sure! You're right, as a thrift store junkie, I have a stack of these too! Great info–thank you for sharing @Vintage Charm! We own an accommodations business in addition to Anne Tweekes, our resale business. We are constantly on the search for decorating ideas. 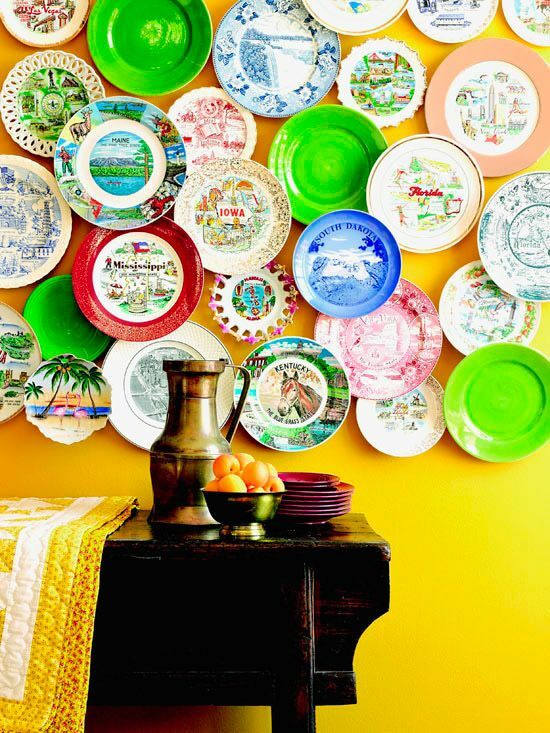 In addition to doing this kind of project ourselves, wouldn't it be fun to ask our out of state guest to bring a plate to put on a wall? That would be so amazing! A 3-D guest book!! My business partners think I'm a little nuts – "they'll just bring old, broken stuff just to get rid of it" is what they say. So, I turn lemons into lemonade and make a mosaic.